An article posted by a former CBS News editor claims that none other than Saudi Arabia helps fund Israeli Mossad operations against Iran. 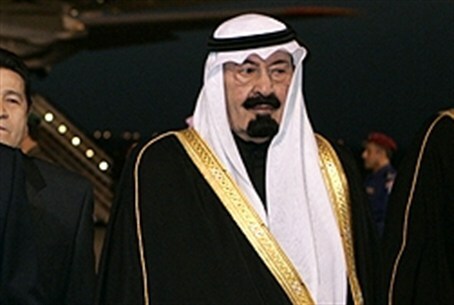 An article posted by a former CBS News producer Barry Lando claims that none other than Saudi Arabia helps fund Israeli Mossad operations against Iran. He wrote, “The head of Israel's Mossad has made several trips to deal with his counterparts in Saudi Arabia-one of the results: an agreement that the Saudis would bankroll the series of assassinations of several of Iran's top nuclear experts that have occurred over the past couple of years. Israel and Saudi Arabia have at least one thing in common: neither country wants to allow Ahmadinejad to obtain nuclear capability. Aramco’s computer system suffered a massive cyber attack in August, and American intelligence officials have blamed Iran. He said he personally ran into American ignorance in 1980 when he was producing '60 Minutes'. “I was struck by the total inability of Americans—even at the highest level—to understand the emotions and history that drove the hatred of all things American that had exploded in Iran with the fall of the Shah,” Lando wrote. “Just up West 57th street from CBS News, for instance, was a huge billboard with the diabolical image of Khomeini glowering down on New York. I suggested we do a report to give Americans a better idea of what was driving Iran’s revolutionaries and their violent feelings against the United States…. “It was difficult to understand how our report could upset the hostage negotiations,” wrote Lando. “We were not revealing any secrets to Iran. The Iranians already knew well the role of the U.S. in their own history. The people we were informing were 20 million Americans — who didn’t understand what was really roiling Iran.